The sudden loss of a loved one is devastating, but the pain is made that much worse when the victim was a young child with their whole life ahead of them. A prime example was a tragic collision that occurred in the Oakleaf area of Jacksonville. A mother was driving with her two children eastbound on Oakleaf Plantation Parkway. Another woman driving a red SUV was traveling westbound on Argyle Forest Boulevard when the vehicles collided at an intersection, according to WOKV.com. The mother and the other child were injured in the accident. However, unfortunately, the mother’s other child, an 8-year-old boy, did not survive. The driver of the red SUV was not harmed. The Florida Highway Patrol indicated that criminal charges are pending. Deepest condolences go out to the family of the young child. No parent should have to bury their child, but many parents are forced to endure this tremendous loss. If you lost a loved one in a preventable automobile collision, you may be able to pursue financial restitution for the harm and sorrow associated with the sudden loss. Under Florida law, a representative of the decedent’s estate is legally allowed to seek financial compensation for economic and non-economic damages. There is a clear distinction between economic and non-economic damages. Economic damages are the harms and losses you can calculate using a spreadsheet. They include any medical bills incurred by the victim (for example, if they received emergency medical treatment prior to their death), funeral and burial expenses, and so forth. Conversely, non-economic damages are those harms that do not fit neatly onto an invoice. Non-economic damages are meant to compensate you for the tremendous emotional trauma associated with the sudden death of a loved one. No amount of money will ever be able to truly compensate someone for the death of a spouse, a parent, or a child. However, our civil justice system allows the pursuit of monetary damages in an effort to ease the financial strain that is often accompanied by a sudden loss and to hold the reckless individual responsible for their careless actions. 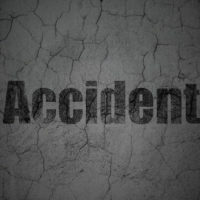 It is strongly recommended that you speak to an attorney soon after the loss of a loved one in a preventable accident. Why? Because the statute of limitations for filing a wrongful death lawsuit in Florida is only two years from the date of your loved one’s passing. In other words, if someone is killed in an accident caused by another driver’s carelessness on August 1, 2017, then the representative of their estate has until August 1, 2019 to file a lawsuit. Failing to file within this statutory timeframe may result in your case being barred from going forward. Losing someone you loved in a preventable accident is an infuriating, devastating event. You should focus on the grieving process rather than negotiating with an insurance adjuster. That is why you should contact Gillette Law, P.A. in Jacksonville today. We are here to help.